Hey David, great post on baseball in Mexico, which is too often overlooked. I used to write for a baseball web site here in Mexico City called “Botándose la barda” some years ago and we delved into some of the topics you mention, focusing on the sociological and historical side of our beloved game. 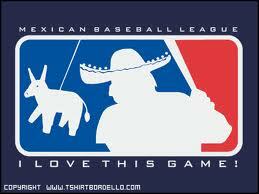 Baseball in Mexico has a rich history! Thanks for the post.